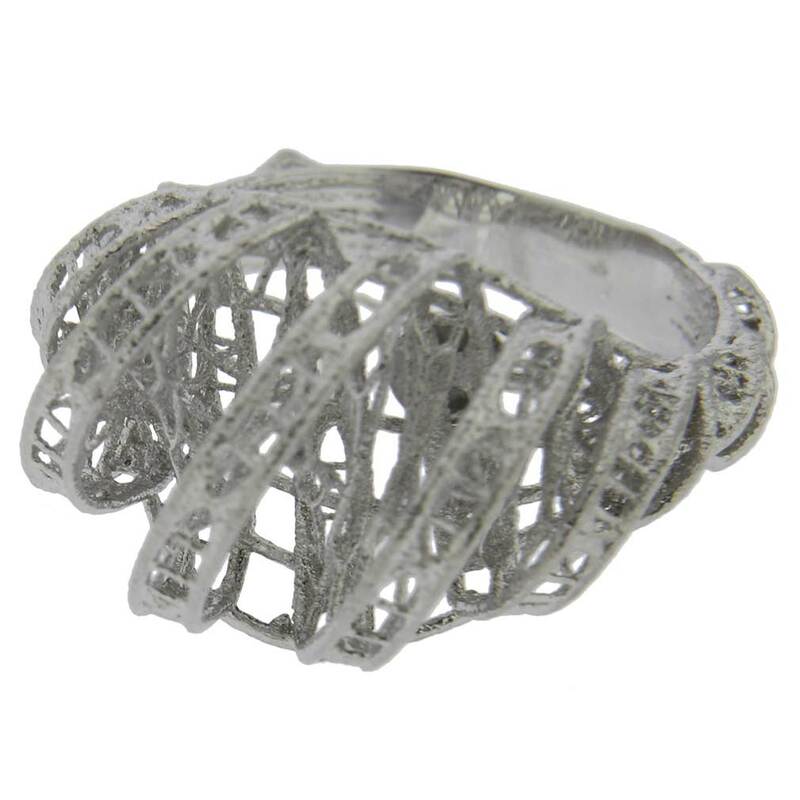 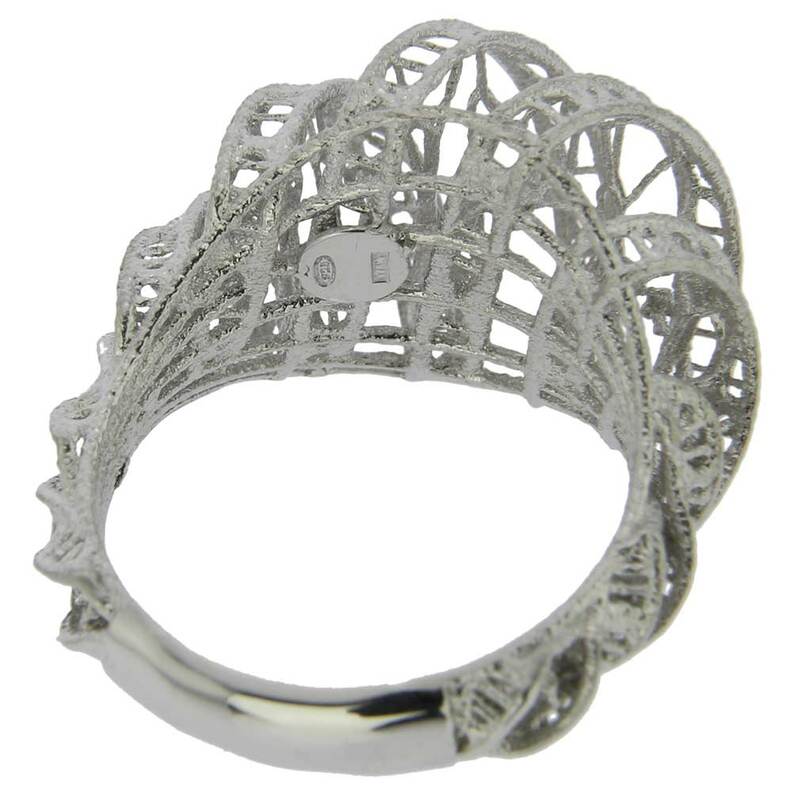 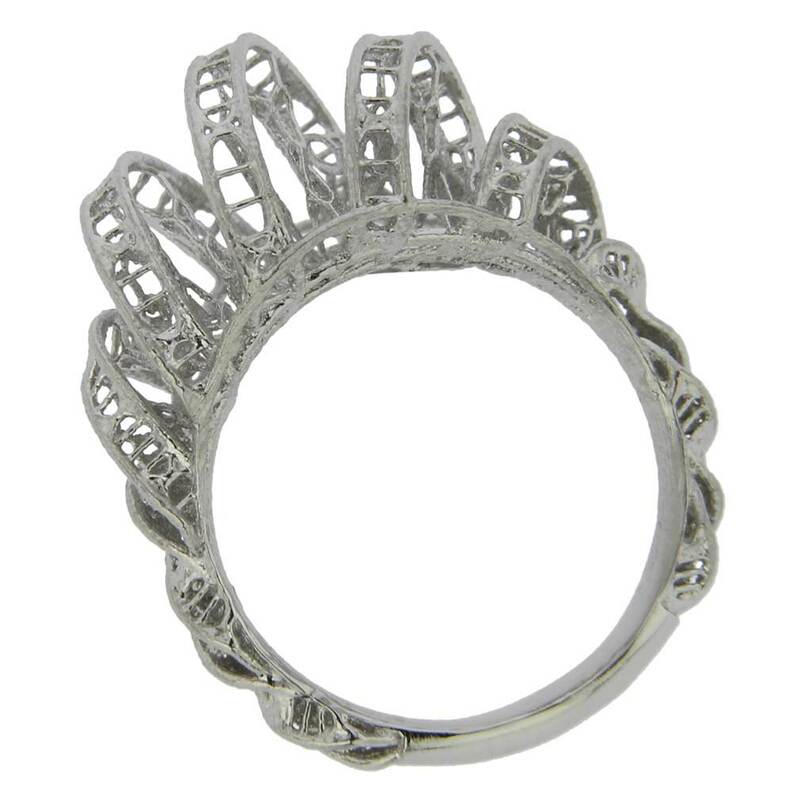 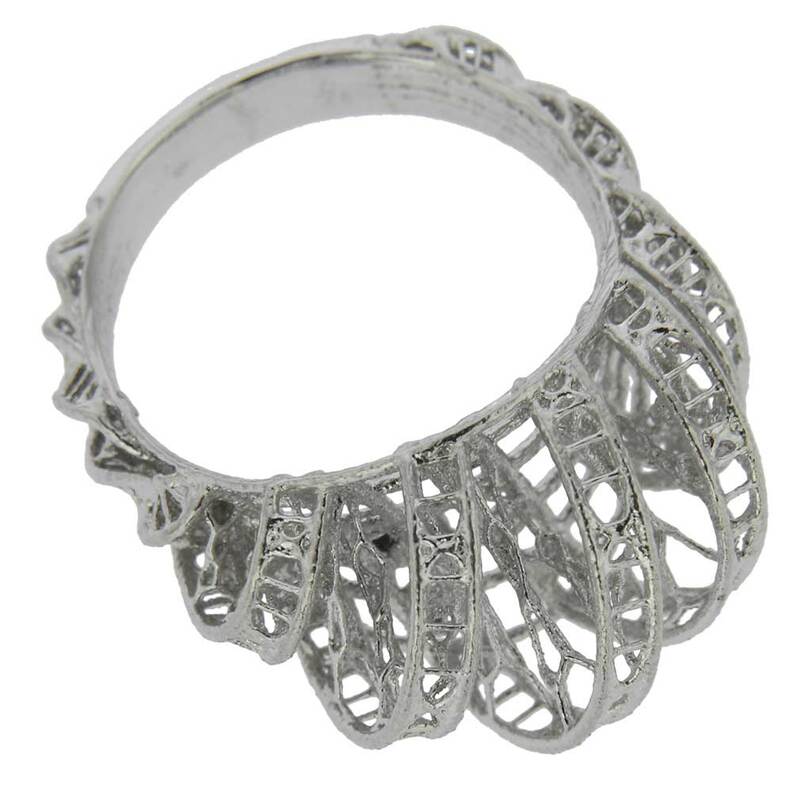 Click here to view our ring sizing tool.This unique sterling silver Italian ring is one of the top choices in our Fioretta silver jewelry collection. 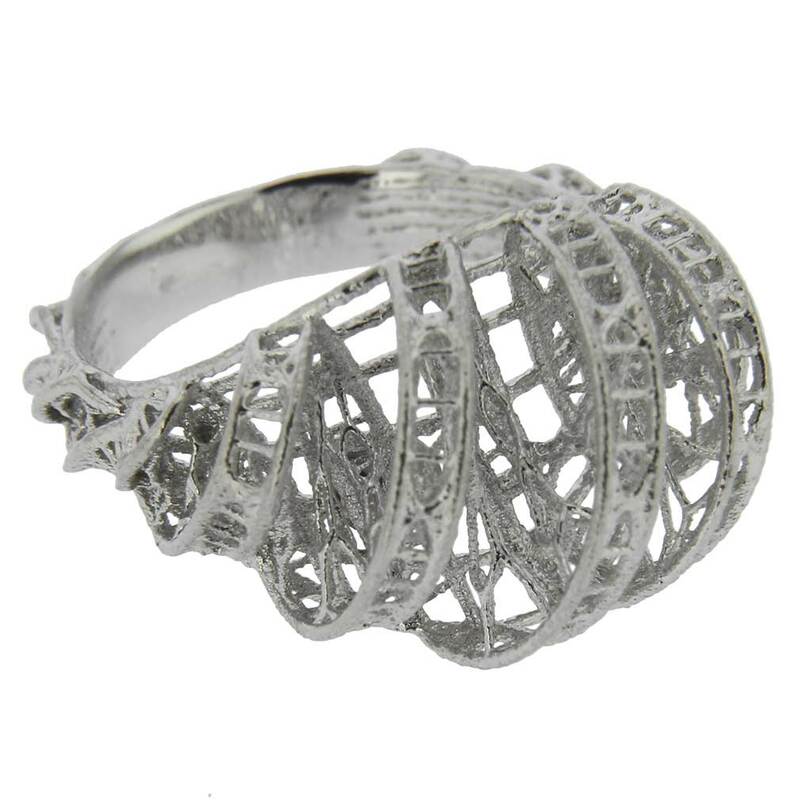 Its dainty look, elaborate design and exquisite style are inspired by the famous lace crafted for centuries on Venetian island of Burano, which is as delicate and light as seafoam of the Venetian Lagoon. 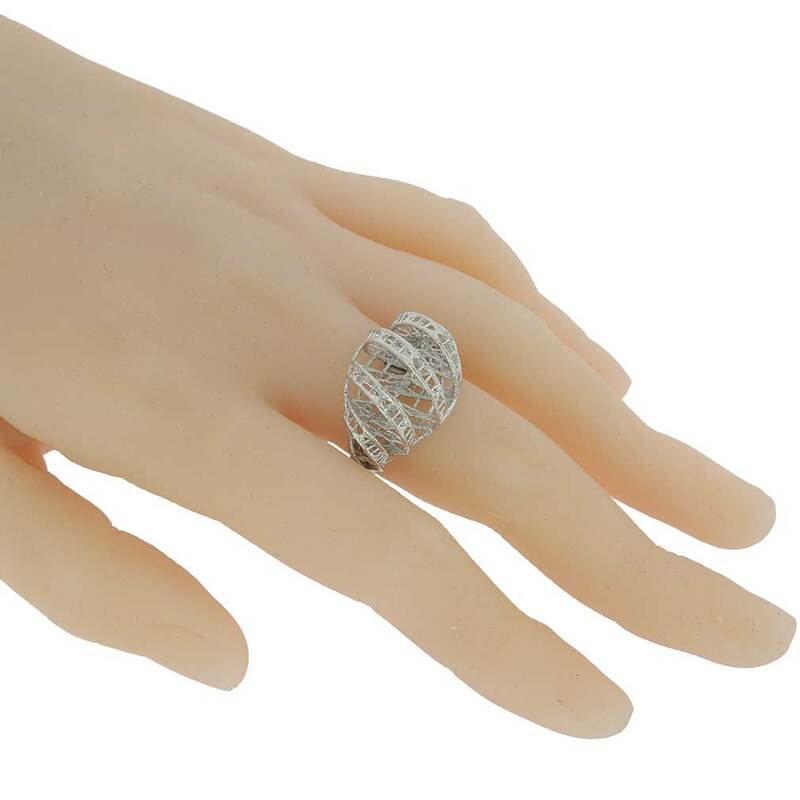 The classic yet trendy design, along with the high-quality craftsmanship are defining characteristics of this ring, which artfully combines the traditional and the contemporary trends in Italian fashion. 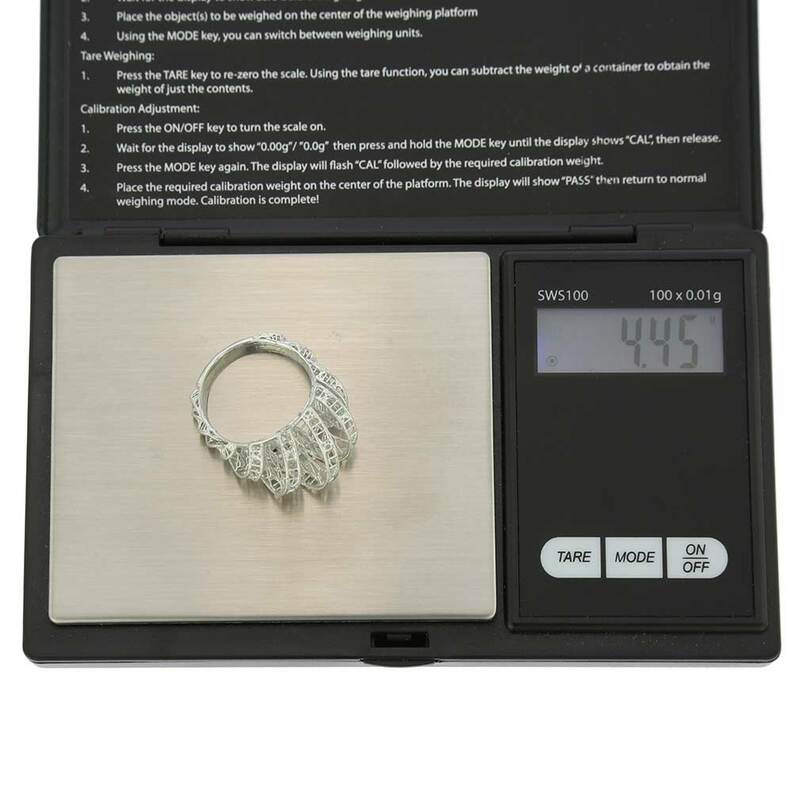 Measurements: The front of this ring measures 7/8 inch in height in the center.